Sometimes you have to believe the crazy ones! 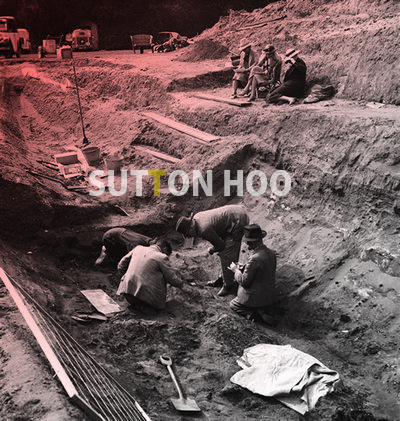 I was learning about Sutton Hoo this morning. Basically the owner of the land, Mrs. Edith Pretty (great name), was like ” I hear noises like a parade and sometimes I see warriors at dusk and dawn” and of course she sounded completely bonkers so she enlisted Basil Brown (another awesome name) to dig into the ancient mounds on her property. Low and behold he uncovered the remains of a MASSIVE burial ship from the 7th century.